This comes just days after Trump visited the US-Mexico border with Nielsen amid a surge in numbers attempting to cross. On Thursday, the US president unexpectedly withdrew his nomination for the head of U.S. Immigration and Customs Enforcement (ICE), citing an aim to pursue a "tougher stance". Trump's immigration policy, which was a staple feature for his campaign for president, has become another stumbling block to partisan politics between Democrats and Republicans. 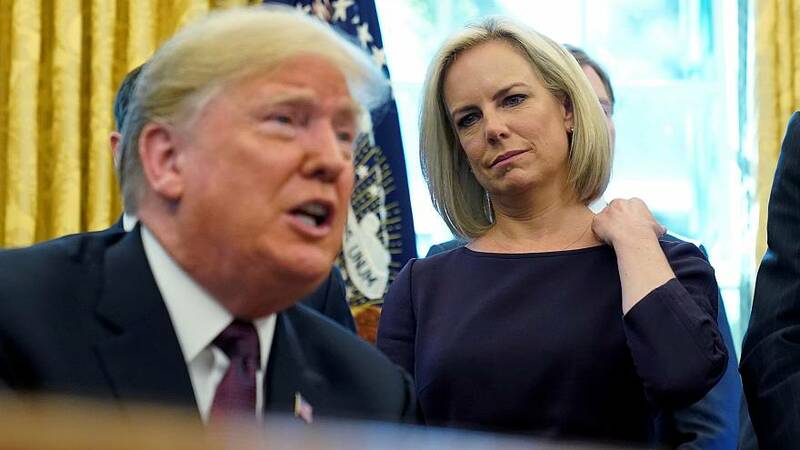 Nielsen's tenure at the Department of Homeland Security (DHS) has been marred by controversy and deep tension conflict between the Democrats and Republicans. The longest US government shutdown was triggered in December 2018, when Democrats failed to support funding for the border wall, while the "zero tolerance" immigration policy at the border which led to family separation in 2018 was widely criticised, with the US president eventually back-tracking. Nielsen has agreed to stay on as Secretary of DHS until April 10. Meanwhile, Trump announced her interim successor as Kevin McAleenan on Twitter. McAleenan will join a number of top official placements which have yet to be filled by full-time staffers including Defence Secretary and Chief of Staff. Immigration is set to be one of the most vexed issues between Democrats and Republicans leading up to the 2020 elections. With a mounting number of Democrats adding their names to the race, immigration policy and practice will dominate US headlines in the months to follow.